I sew early in the morning. Really early. Like earlier than you can find anything good on the radio early. While I was in the why-did-I-decide-to-make-a-twin-size-mid-quilt-funk, I pulled out my sleeve of CDs and grabbed one at random. It was the REM album with the song "Hold On." 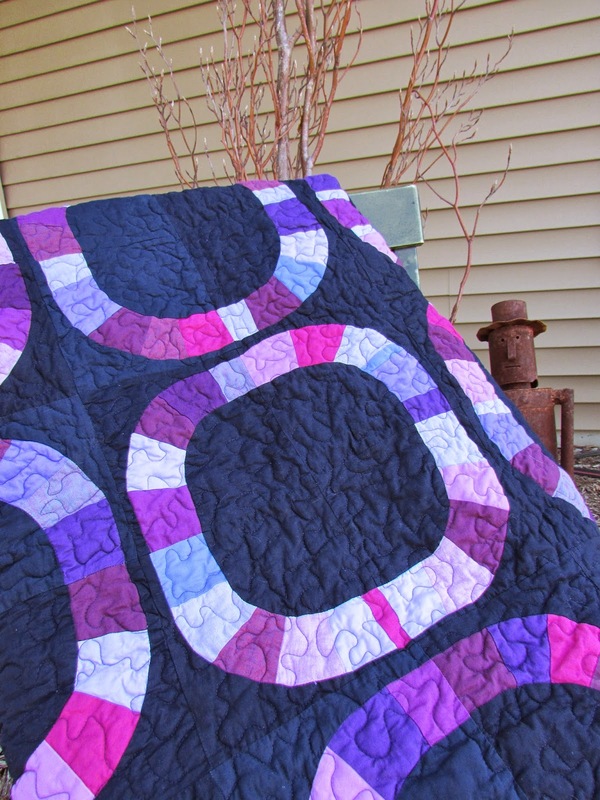 When you're sure you've had enough of this [quilt], well hang on." I listened to that song over and over as I sewed curve after curve. Not that I am counting, but it was 120 of them. GAH! .....and? It was TOTALLY WORTH IT! I am glad that I decided to expand it. The light was good enough here to catch the tonal background. I used a navy voile and indigo from Michael Miller Cotton Couture. The color difference was subtle in my sewing room, and I worried that the effect would be lost. 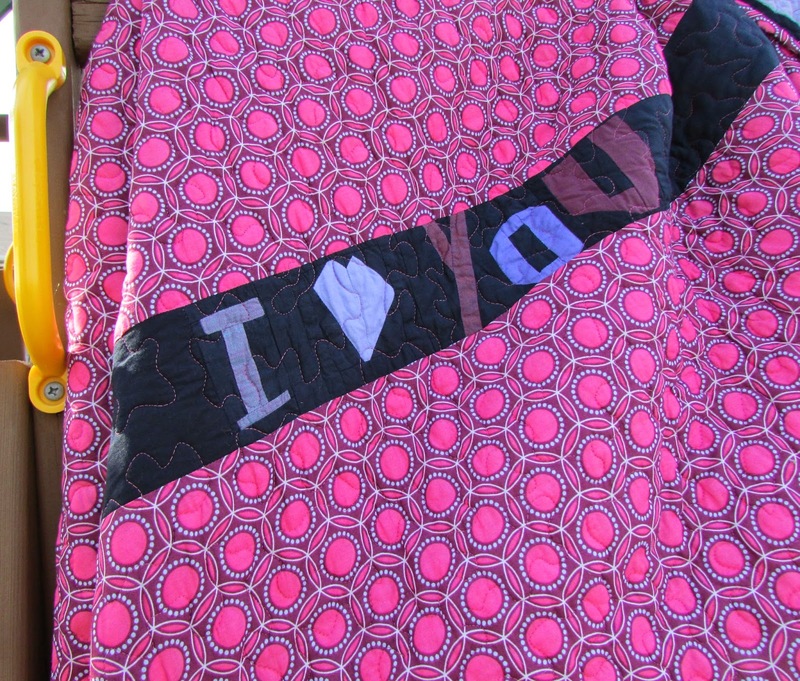 I quilted this using a 50 wt. Aurifil thread in a meander pattern. 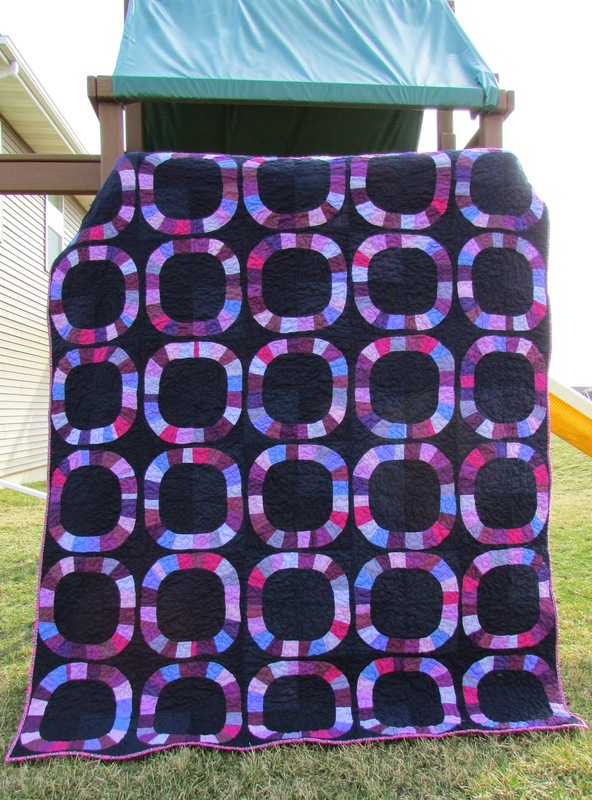 I wanted to add texture to the quilt, but not any competing design elements. The curvy circles are the star.